Librarians are always finding new and engaging ways to inspire a love of reading and foster a sense of community. 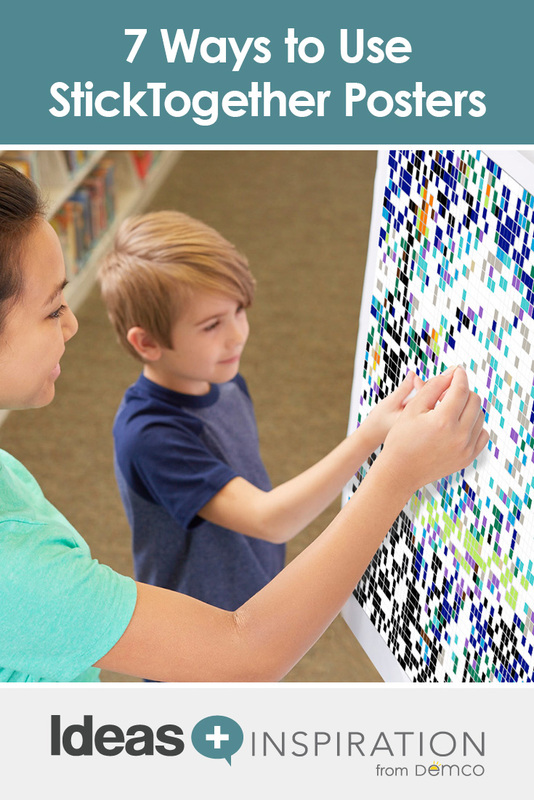 One of the creative ways they’re reaching their students and patrons is with collaborative art activities, such as StickTogether mosaic posters. 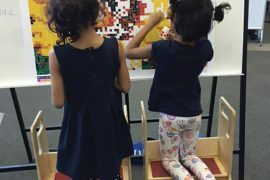 Along with bringing people together to collaborate, StickTogether mosaics provide a chance to focus on the “A” in STEAM and offer embedded opportunities to foster critical thinking, prediction and social skills. They can also be used for a variety of incentives, from reading to good behavior. We asked our audience of librarians and educators to share how they’re using StickTogether to reward, inspire and motivate, and, as always, we were amazed at the ingenuity of their answers — from using it as a summer reading incentive to promoting library etiquette. 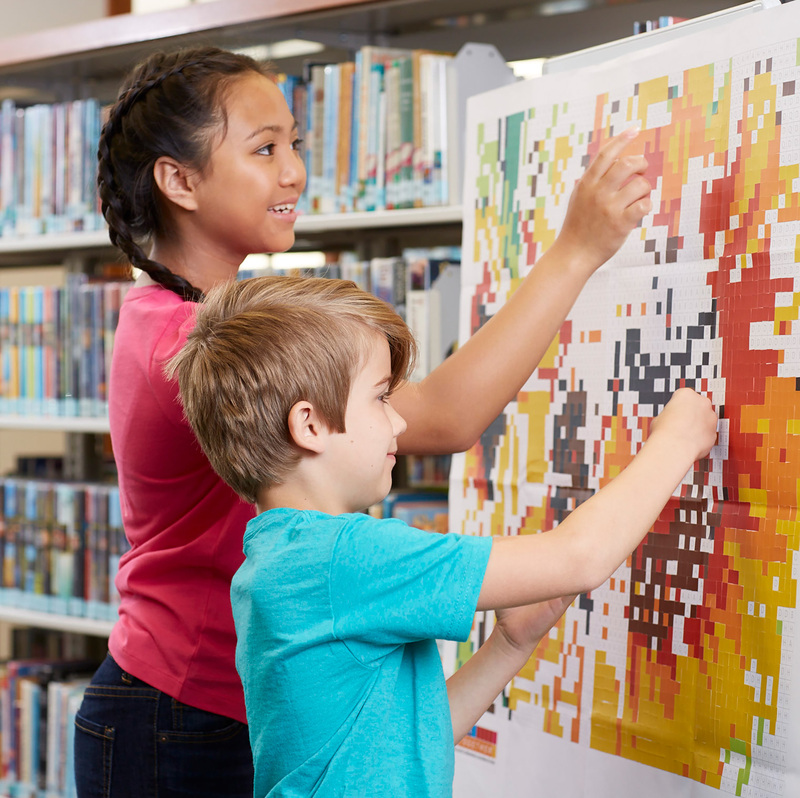 Read all the different ways these librarians found to use mosaic posters and grab some ideas for your own library! School librarians have found so many ways to inspire students with this collaborative art project. Several had the idea to use the posters to celebrate a special event, including the beginning of the new school year or the opening day of their makerspace. And it sounds like it’s working! Librarians have also found the activity to be an excellent motivator in a variety of ways, including reinforcing good behavior. Use StickTogether as a reward for students who return their books on time. Each time they have no overdue books at library checkout, give the student a square to add to the StickTogether poster. Use it as an incentive program for kids to follow library rules. Give out stickers to the students demonstrating good library etiquette each week. Use it as an Accelerated Reader milestone incentive. Whenever a student passes an AR test during library time, let them add a sticker to the poster. Need Ideas to Get Kids Making? Your makerspace doesn’t need to have the latest high-tech tools to be effective. 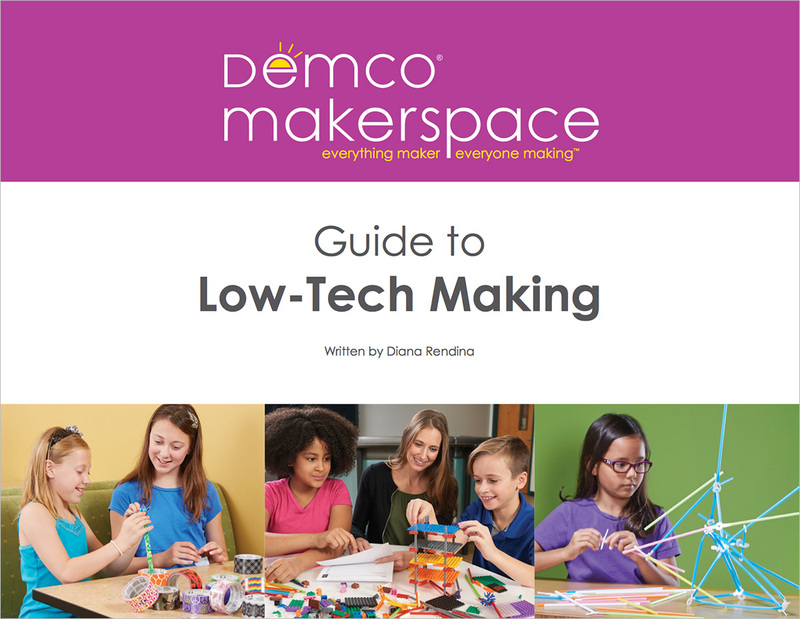 Download the Guide to Low-Tech Making for easy and effective activities that can help you launch a maker program that boosts critical thinking, creativity, communication, and collaboration. Have students submit a prediction about what the image is early in the process. Then see who predicts correctly. Use the posters during a unit on art history. Showcase your collection of art books to amp up student interest in art literature, and then give students the opportunity to earn stickers for answering questions about the artists in the books they read. Why not get even more people in on the action and into the library? Use StickTogether to draw in some of the non-library users. Place the display in a prominent place or where it can be easily viewed in the library and have students in all grades work together. The whole school will be able to see your progress and want to contribute. Do you have a wide age range in your school? 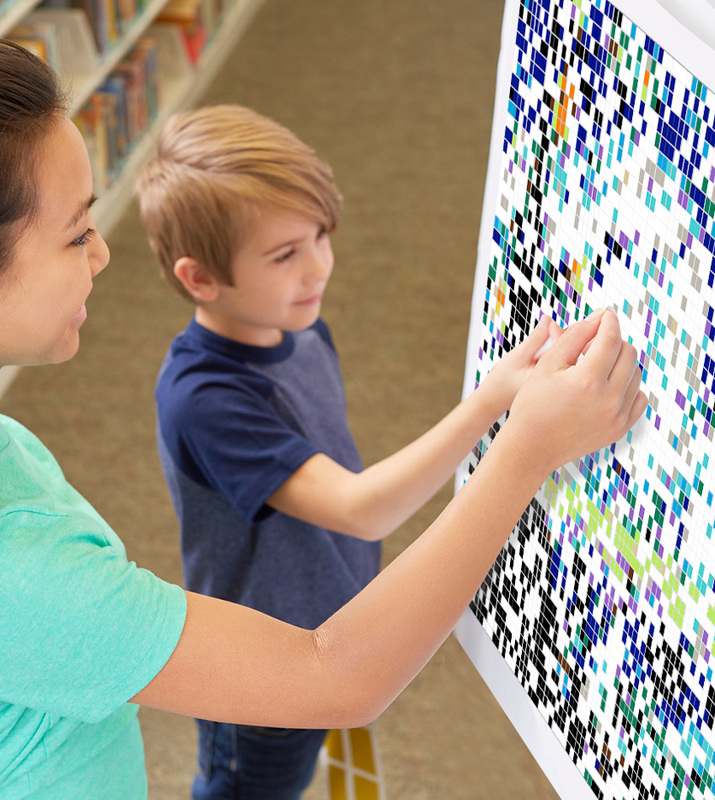 Bring young and old together by putting the mosaic poster in a common location to allow the elementary students to work alongside the older students to make something together. Staff can get in on the fun too! Showcase your makerspace by getting parents involved on Maker Night or Literacy Night. Use a StickTogether poster during your next book fair. Students can each get a sticker to add when their class comes to browse the book fair. The poster can also be a fun way to get more families into the fair to browse and shop while they’re in the building for conferences. Give each family member a sticker to add to the poster. Find colorful, artistic and seasonal mosaic poster designs that are perfect for makerspaces, community-building events, classroom competitions, reading challenges and more! 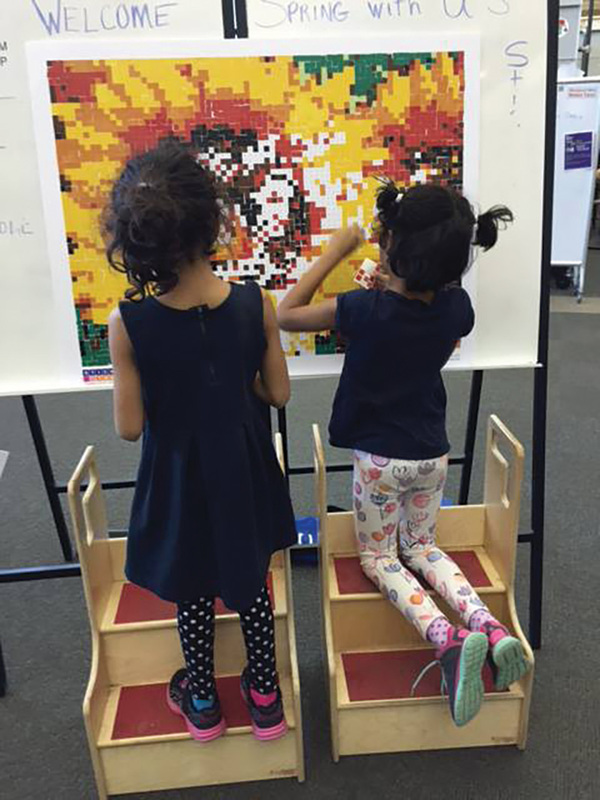 Come young, come old — everyone can help build something beautiful at the library. Encourage library book circulation — when patrons check out a book, let them add a sticker to the poster. Post your progress on your library’s Facebook page and invite the community in to add to the art. Display the StickTogether poster under the title “Picture Us Reading.” Each person adds a sticker for each book read during a set time period, gradually revealing the image. What better time to provide a visual reading incentive than your summer reading program? Provide a StickTogether poster to give kids something to do while their parents browse the book selections, and use the finished piece as a mural in the children’s room. Post a mosaic poster where you have your children’s programs. Each week, allow every child that attends to put a sticker on the mosaic as an incentive to come back.